Procurement Support Service - Bark Verpakkingen B.V.
By using the Procurement Support Service Concept (or single sourcing) we will act more as a Coordination Centre rather than a Control Centre. When using this approach, the logistics part of the packaging management is not included. Bark will order from the original suppliers (or alternatives if required) for direct delivery to the customer. Bark will also invoice the customer. Optimize and outsource handling of suppliers and the administration involved. 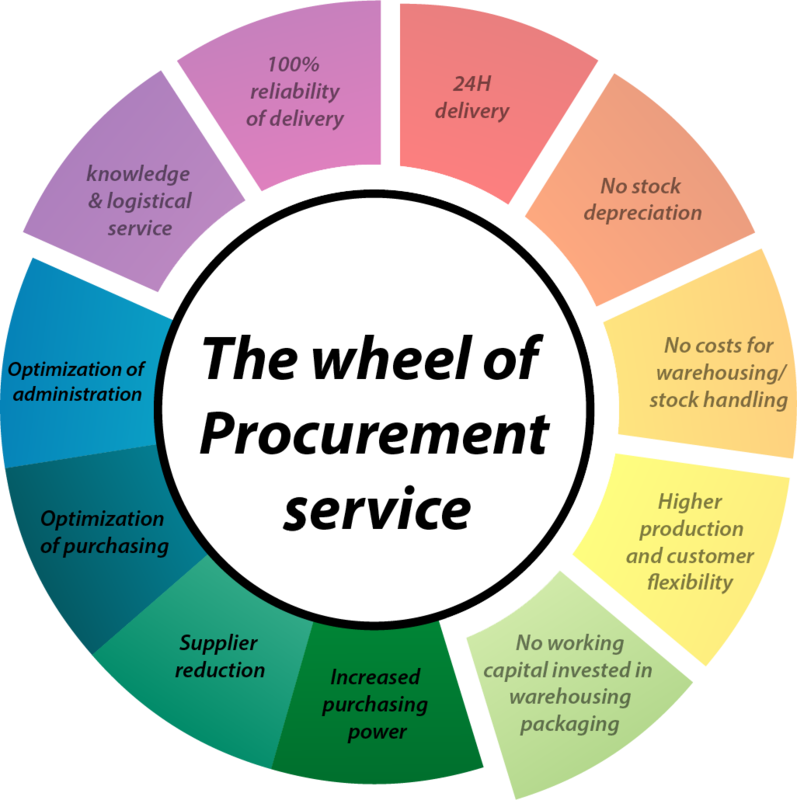 Depending on your business goals this concept can be of added value (mainly) in your procurement process if achievements and improvements have to be made without any logistical intervention.